Why rapper B.o.B. 's belief in a flat Earth can be useful. 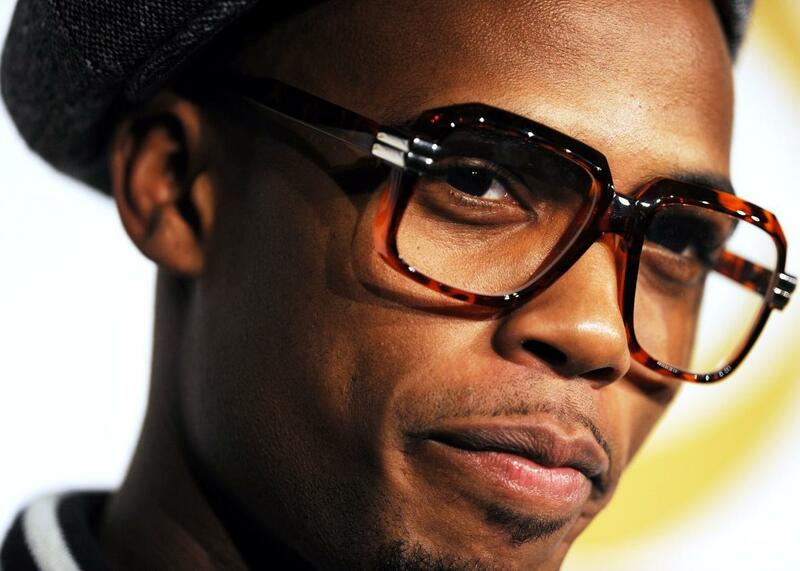 Rapper B.o.B poses in the press room at the Grammy Nominations Concert, Dec. 1, 2010, at Club Nokia in downtown Los Angeles. I was going to start this piece by asking how it could be that in the 21st century anyone who can put on his or her own shoes in the morning could honestly think the Earth is flat. But we live in a world where Donald Trump appears to be the front-runner for the Republican nomination for president, so I guess anything is possible. In any case, the Internet has been buzzing this week since the rapper B.o.B started tweeting about his belief in a flat Earth. Sensing an in, Neil deGrasse Tyson produced some disparaging countertweets, and then even got his nephew to produce a rap piece featuring Tyson making fun of flat-Earthers like B.o.B. All good fun, I suppose. But while the claim of a flat earth is at least four centuries behind the times, simply dismissing a claim by a celebrity as nonsense is not that useful. For behind the silliness lies a distrust both of science and government. B.o.B apparently believes NASA is a tool of the Defense Department, designed to distract us all from the truth. And surely if you look out at the ocean or at the plain in Kansas, the Earth looks pretty flat, which is one of the reasons why people thought it is was for a long time. Simply quoting from authority, like saying NASA has pictures from space that counter this belief doesn’t really achieve much, because conspiracy nuts like B.o.B simply discount such claims. Whenever I hear claims that fly in the face of evidence, like the belief that the Earth is 6,000 years old, I like to come up with novel counterexamples, beyond the hackneyed ones employed in debates that deniers have had time to try to discount. For example, it takes almost 1 million years for light to get from the center of the sun to the outside, so if the sun were only 6,000 years old, it wouldn’t be shining as it does. 1. Time zones: My favorite of the moment. There are 24 time zones on Earth, and the only way I can see that sunset would move smoothly by an hour as each time zone is passed—and more importantly that the sun would set on either side of the international date line exactly 24 hours apart—is if the planet is a sphere. 2. Seasons: Many people think it is colder in the winter than the summer is because the earth is farther from the sun. But of course such a notion is Northern Hemisphere–centric, because winter in the North is summer in the South. The tilt of the Earth is responsible for the seasons, and again, if the Earth were flat, I cannot see any possible explanation of how the summer turns smoothly into fall, nor why summer in the North is winter in the South. 3. GPS: Perhaps B.o.B thinks that the GPS device in his car is a vast conspiracy designed to tell him, and only him, exactly where he is. But for the rest of us, GPS systems only work because of the network of satellites orbiting the Earth in appropriate stable orbits. Unless you think the laws of gravity don’t work in space as they do on Earth then such stable orbits wouldn’t be possible around a flat Earth. So those are a few somewhat out of the ordinary reasons for knowing the Earth is not flat, even if you don’t believe what the photos we have from space tell us.